There's trouble at Gray House, the girlhood home that Poppy left long ago. 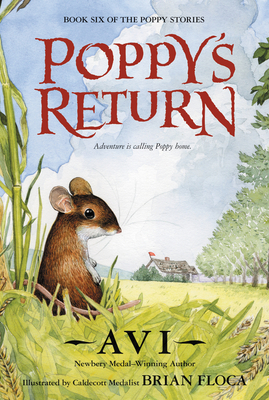 Poppy's family has called her back to save them all—mother, father, sisters and brothers, and dozens and dozens of deer mouse cousins. Poppy invites her rebellious son, Junior, to join her on the long trip across Dimwood Forest, hoping the journey will bring them closer together. But with Junior's skunk pal, Mephitis, and Ereth, the cantankerous porcupine, in tow—sugared slug soup!—Poppy and Junior may be in for unexpected adventure.